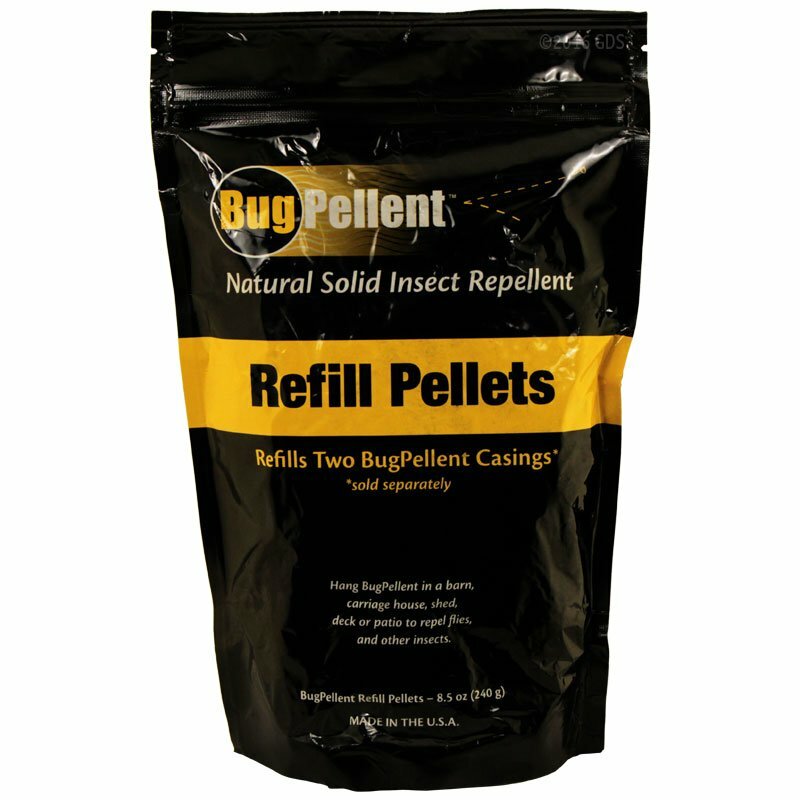 Refill for BugPellant Hanging Solid Insect Repellant. Each BugPellent pouch will refill two casings. CAUTION: Keep BugPellent material and the BugPellent device away from children. Do not place BugPellent in a totally enclosed space.